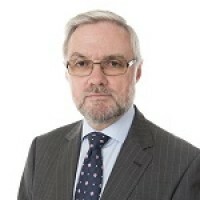 Vernon Phillips is the Director General for the Civil Enforcement Association, an independently funded association formed to represent all private certificated enforcement agents in England and Wales. It brings the benefits of experience and knowledge across the whole spectrum of civil enforcement activity. Vernon is responsible for insuring strategy rules and regulations are upheld. He works closely with the Ministry of Justice and was previously a civil servant in that department as well as in the Department for Education where he was the Parliamentary Clerk. Vernon has extensive experience in civil enforcement including working as an independent consultant for Rossendales and serving as Chief Executive of the High Court Enforcement Officers Association. He is a major player in the enforcement industry and has positively influenced decision-making at parliamentary level.